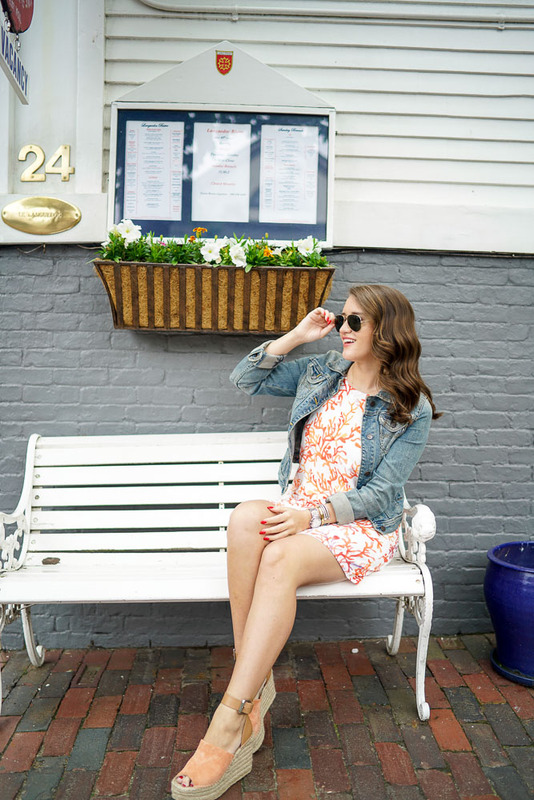 Everyone loves a good stroll in downtown Nantucket, right? Join be as we shop the streets of this town and I'll tell you a little secret about my hair! Not going to lie, I was having quite the hair day when we shot this look! In Nantucket, most of the mornings and nights are filled with fog... humid fog. And after a short walk to breakfast and back my hair was all frizz and it was a hot mess. So I curled it and somehow it stayed perfect for these photos. I mean, my hair has never looked thicker! It's perfectly curled thanks to my barrel curling wand. I've been using it for years (before it was cool) and use the 1" barrel exclusively! Also, doesn't my hair look like a totally different color? I'm telling you, it was a weird day! This dress is a new addition to the Robertson family and is supaaaa cute! 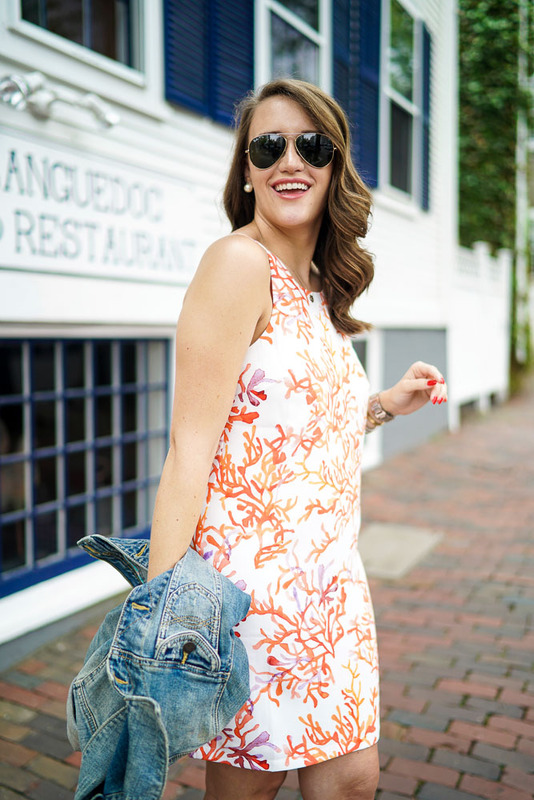 I love the coral print watercolors on the dress and it's such a unique style of straps, that it makes it different from your average shift dress. 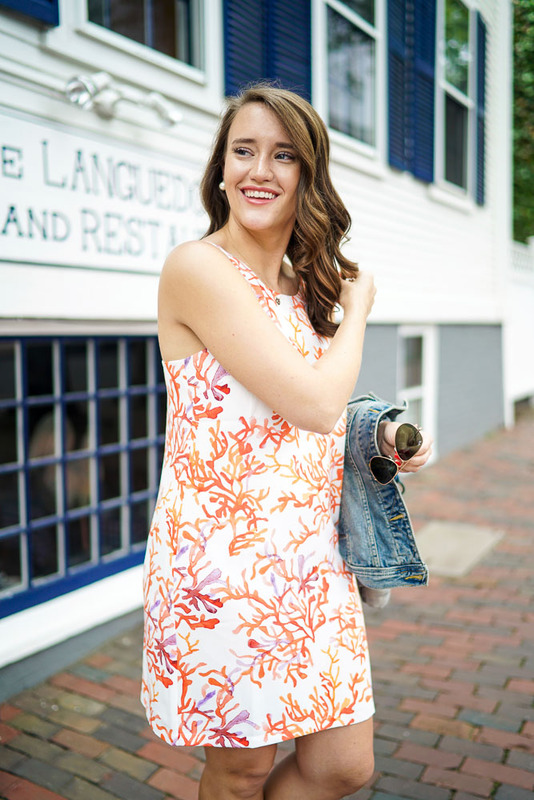 Cooper and Ella are a favorite brand of mine and they're actually apart of a pop up this summer at Skinny Dip Nantucket. So if you're in the area, stop by!! There items are amazing! 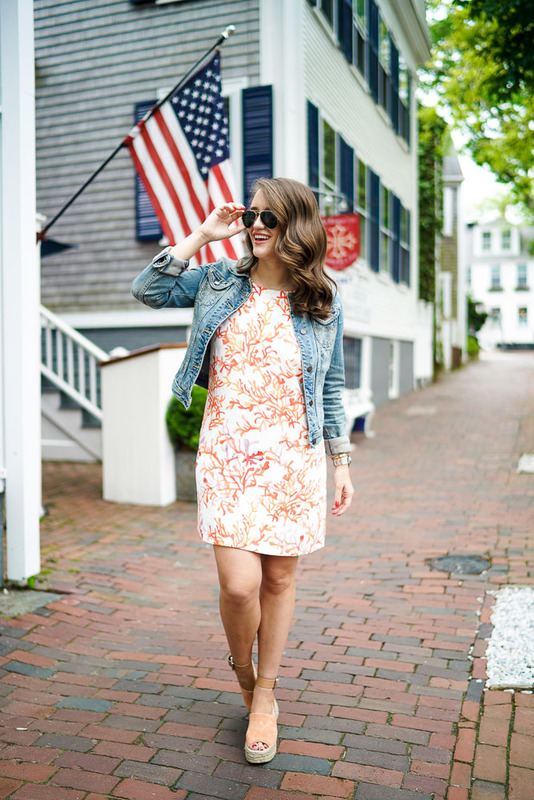 Perfect Nantucket look!! Such a pretty dress. That dress is so cute! And I love it paired with the jean jacket. It's a perfect mix of preppy, beachy, and casual! Girl your hair looks amazing in these photos!! Love love love this look! I just got these shoes in the darker tan color and I LOVE them - such great dupes for the Chloes! Super cute dress! And totally wish I was in Nantucket right now, Jealous!